Concerns about job insecurity are on the rise given changes in the technological, political, and economic context of work. 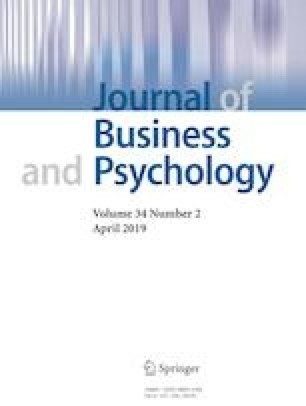 Building on the ideas of resource value and threat from Conservation of Resources theory (Hobfoll, Am Psychol 44:13–24, 1989), we proposed that job satisfaction moderates the relationship between job insecurity and various emotional, attitudinal, and behavioral outcomes. While job insecurity reflects a threat to one’s job, job satisfaction captures the value of the resources provided by one’s job. We expected those most satisfied with their jobs to be most negatively impacted by job insecurity. We found support for the interactive effects of job insecurity and job satisfaction on well-being, turnover intent attitudes and behaviors (i.e., job search), affective commitment, and organization-directed counterproductive work behaviors across three methodologically distinct studies, which together encompass data from over 24,000 workers from 31 countries. Our findings suggest that job insecurity and job satisfaction combined contribute to the most desirable outcomes. We discuss implications for organizational practice and labor policy, which have typically focused on job insecurity or job satisfaction instead of both together. Study 2 was partially funded by an Edward R. Meyer Distinguished Professorship awarded to the third author by Washington State University. The authors wish to thank Sergio Lopez-Bohle and Nicholas J. Gailey for their assistance with study 2 data collection. Goldschein, E., & Bhasin, K. (2011). 14 surprising ways employees cost their companies in the workplace. Business Insider. Retrieved on November 15, 2018 from https://www.businessinsider.com/surprising-costs-to-the-work-place-2011-11. Jiang, L., & Lavaysse, L. M. (2018). Cognitive and affective job insecurity: a meta-analysis and a primary study. Journal of Management, 44, 2307–2342. https://doi.org/10.1177/0149206318773853. Kinnunen, U., Feldt, T., & Mauno, S. (2003). Job insecurity and self-esteem: evidence from cross-lagged relations in a 1-year longitudinal sample. Personality and Individual Differences, 1–16. https://doi.org/10.1016/S1368-8375(03)00129-5. Newbert, S. L. (2006). Empirical research on the resource-based view of the firm: an assessment and suggestions for future research. Strategic Management Journal, 1–27. https://doi.org/10.1002/smj.573.